Bonus Bucks are a great way for retailers to smooth out the peaks and valleys that can come with a seasonal business. With our Bucks program Sunrise Marketing continues to provide real-world marketing tools for small business. Using Bonus Bucks is simple: issue Bucks during your busy season – usually a 3-4 week period, and redeem them in a slower season – again, usually about a 3-4 week period. Bonus Bucks, Merry Money, Blooming Bucks, Dirt Dollars – whatever you call them, THEY WORK!! Issue when you’re busy for maximum distribution; Redeem when you are slow. Redemption rates have been reported as high as 30-40%. Your results may vary. 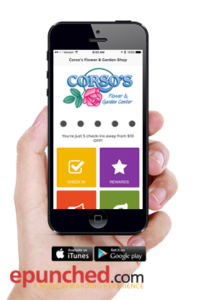 Completely customizable. No additional charge for complete customization. 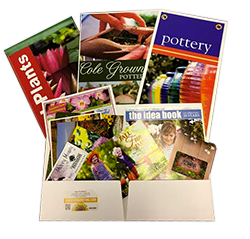 Use our companion marketing tools to promote in store, in print, and online to promote your bucks. 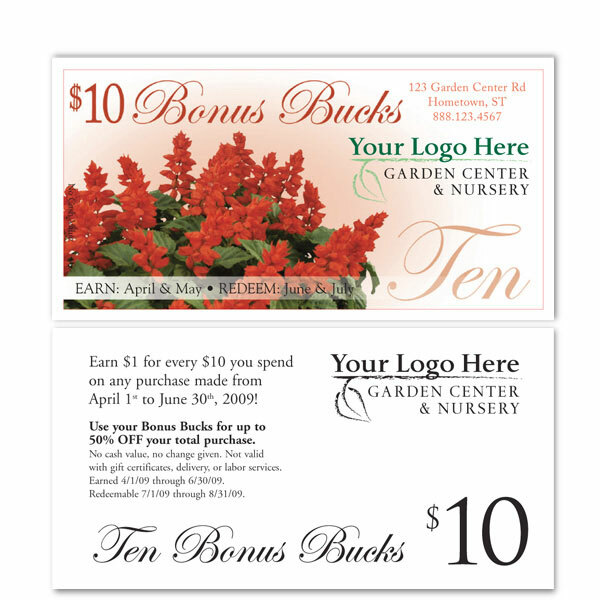 View some Bonus Bucks Sample Designs.